Contest: Win a Gaming COMPUTER WORTH $850! 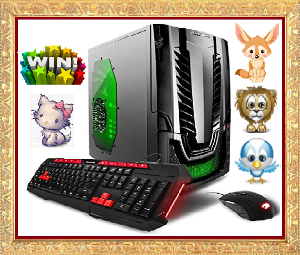 Win a Gaming COMPUTER WORTH $850! What you must do to enter: Fill out Simple Form. Statistics: This contest was opened by 502 and entered by 73 ContestChest.com members. 15% of those who opened the contest, entered it.